Want this item tomorrow, Thursday 25th April? Order within the next 3 hrs 4 mins and choose Next Day Delivery during checkout. 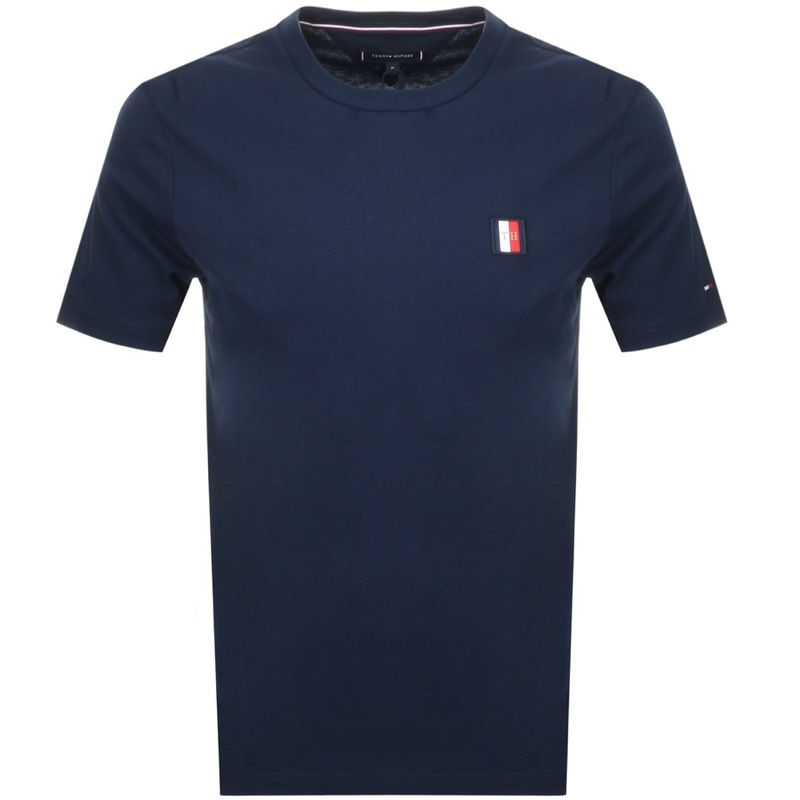 Tommy Hilfiger Short Sleeved Icon T Shirt In Sky Captain Navy, Relaxed Fit. An organic cotton jersey t shirt with a ribbed crew neck and short sleeves. The signature Tommy Hilfiger woven logo patch is situated on the left of the chest in a gold design and has the signature branding colours featured in navy, red and white. The small signature Tommy Hilfiger flag is embroidered on the left of the sleeve in navy, red and white. Top stitching on the seams in sky captain navy. 100% Cotton. The Exquisite Brand New Tommy Hilfiger Collection Of Polos And T Shirts Available Live Online.